The F&V SpectraHD 4 is a compact 4.3"" monitor with a stunning 1280 x 720px high-resolution display. The SpectraHD 4 has a 170-degree viewing angle, 8-bit color depth, and a 900:1 contrast ratio which makes it a strong, standalone monitor not only for reference but also for focus pulling. 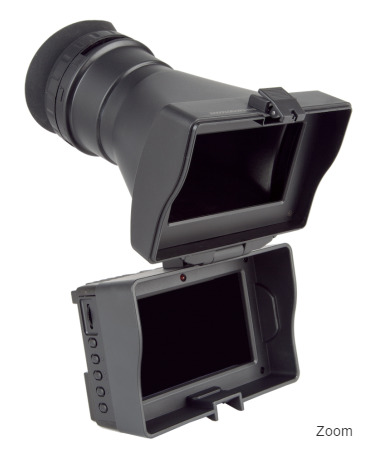 An optional, flip-down loupe completes the system, transforming the monitor into an Electronic Viewfinder (EVF). 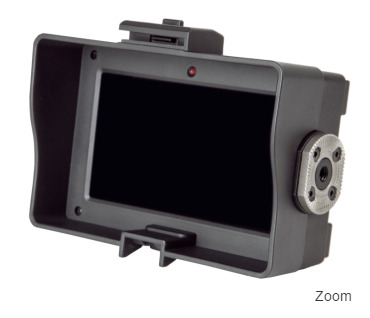 The loupe is a practical solution for over the shoulder camera work or when shooting in bright environments. The loupe has a slight magnification, yet it retains full-screen viewing which makes framing your shot easy. 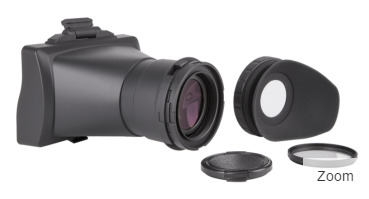 The loupe is sold separately or as part of a kit. Advanced software features make the SpectraHD 4 a perfect solution for professionals. 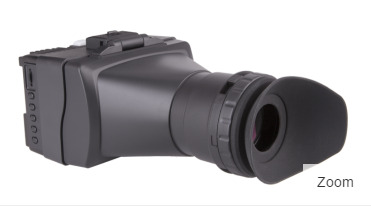 The SpectraHD 4 is packed with key features such as: vectorscope, histogram, focus peaking, false color, and adjustable frame guides. The SpectraHD 4 gives you tools to understand your image signal, ensuring its overall integrity. 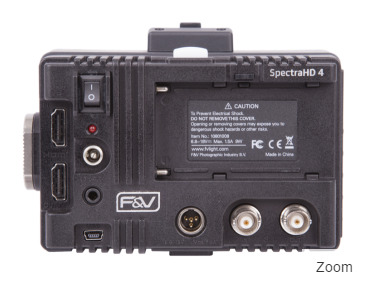 The SpectraHD 4 will be capable of future firmware upgrades via its integrated mini-USB input. The SpectraHD 4 has a lightweight and strong aluminum body with two mounting options: one 1/4""-20 and one Arri Rosette. It has an HDMI IN and OUT with loop-through as well as an SDI IN and OUT with loop-through. 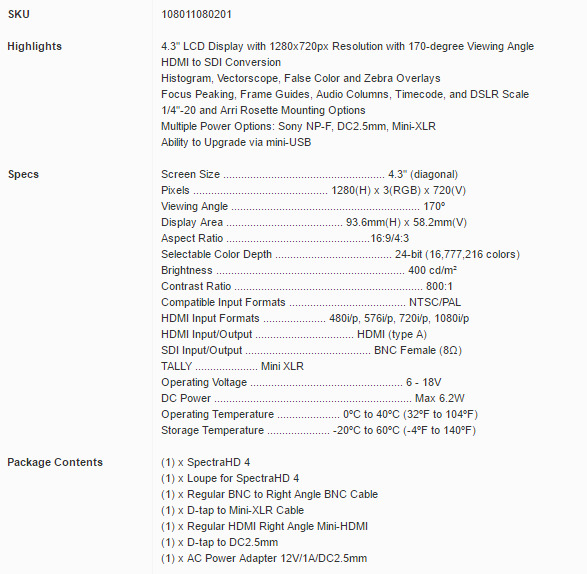 The SDI input supports 3G/HD/SD. Another powerful feature of the SpectraHD4 is its ability to convert from HDMI IN to SDI OUT. The SpectraHD 4 has several available power options: a Sony NP-F battery plate, a DC2.5mm jack, and mini-XLR. 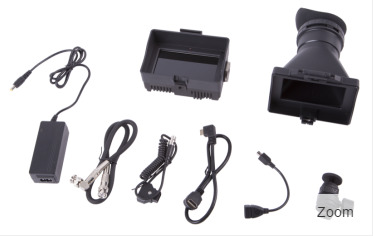 The mini-XLR can also be used for multi-camera shoots to receive a tally signal from the switch-board, illuminating the monitor's integrated Tally Light. Whether on-location or in the studio, the SpectraHD 4 has all the physical and internal features to make it a versatile, reliable companion on-set.